Brazil’s air force has selected Rockwell Collins to deliver avionics systems and flight support services under two separate deals. Rockwell Collins said Tuesday it will supply its Pro Line 21 avionics suite to update the Brazilian air force’s fleet of Hawker 800XP aircraft and support the fleet’s compliance with upcoming airspace requirements. Marcelo Vaz, managing director for Rockwell Collins in Brazil, said Pro Line 21 is designed to optimize pilots’ situational awareness and flight experience. Pro Line 21 will replace the Hawker 800XPs’ cathode ray tube displays with configurable liquid crystal displays that will work to show electronic charts, weather data, navigation maps and other options. 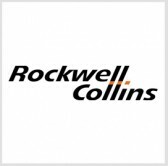 The Brazilian air force’s special transport group, dubbed GTE, also renewed a contract with Rockwell Collins for the delivery of the ARINCDirect flight support services. The contract covers services for 13 aircraft, including an Airbus A319 jet and Embraer ERJ145, E-190 and Legacy 600 planes. ARINCDirect is meant to help users create and file electronic flight plans worldwide as well as monitor weather conditions and access aircraft performance data. GTE manages the national and international flights of Brazil’s president, ministers of state and high-level national and foreign leaders.